The New College and Career Centers for Bullitt County Public Schools include a series of instructional labs, an allied health lab, a television studio, a multi-purpose room, an internet café and a gallery. The school district constructed one of these facilities at each of their three high schools. 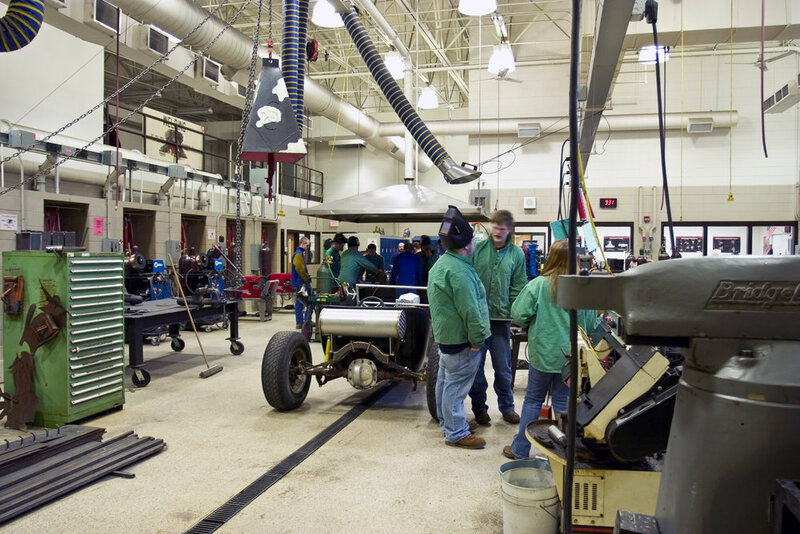 The College and Career Centers function to provide a college and career focus. The Rockcastle County Area Technology Center (ATC) is every Owner’s dream. The project came in under budget and ahead of schedule. It had a negative change order dollar amount. In fact, enough money was left over from the project that they were able to furnish the entire building, which saved them general funds! Natural light is incorporated throughout this facility. We were even able to incorporate natural light in spaces such as labs and high bay areas. The addition of the Area Technology Center was the second phase of an overall Campus Master Plan. Subsequent phases consist of renovating the original portion of the West Campus High School into Learning Academies to support College and Career Readiness for the students of Muhlenberg County. Program Areas include: Information Technology, Pre-Engineering, Health and Human Sciences, Agricultural Sciences and Technology, Science and Mathematics, Manufacturing, Construction, Human Services, Public Services, Communications, Marketing, Business and Finance, Education and Fine Arts. 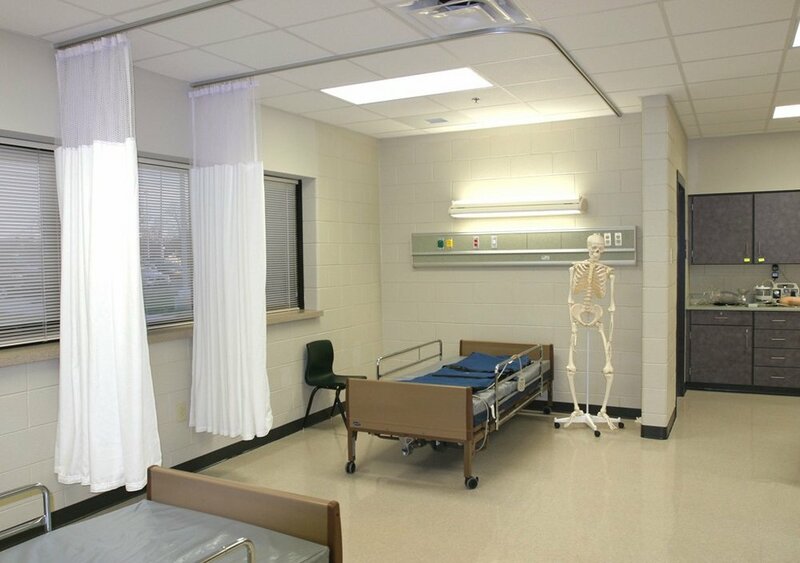 A wide variety of specialty labs and classroom spaces were designed to provide hands-on, real-life learning experiences for students.